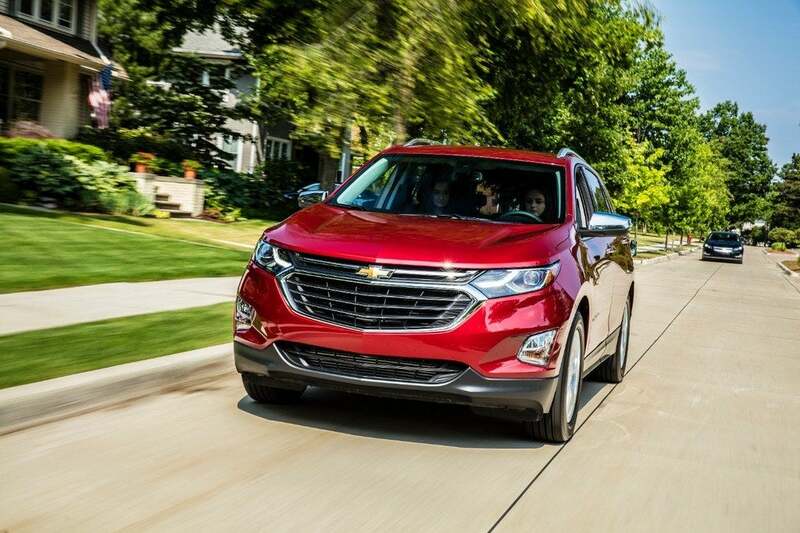 The 2018 Chevy Equinox gets new exterior styling and new tech features all in a smaller package. 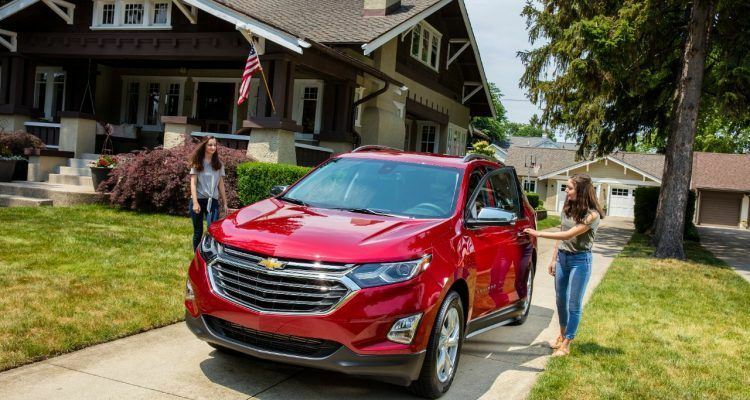 The result is an SUV that’s a friendlier urban commuter. 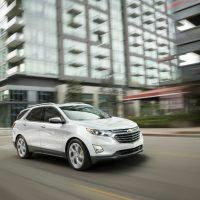 The new 2.0-liter turbo should give families enough power and fuel mileage gains as they travel about their day. 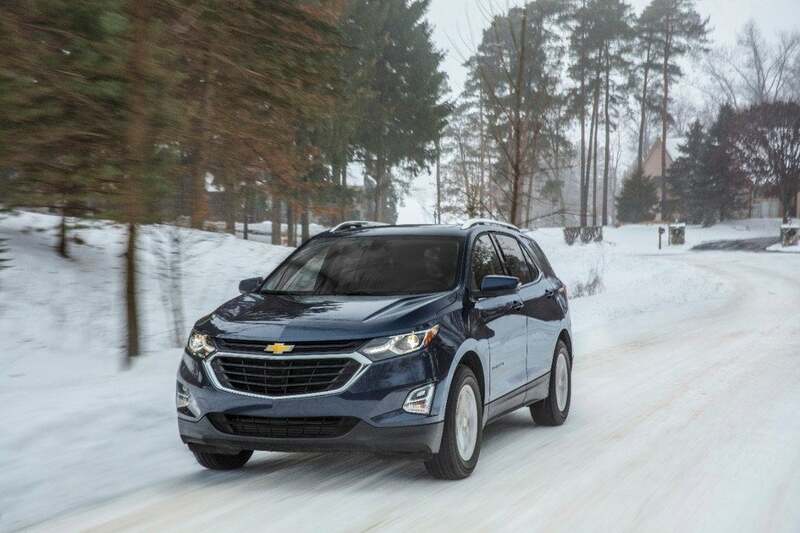 This week, we’ve been driving the top-of-the-line, 2018 Chevrolet Equinox FWD Premier 2.0T. 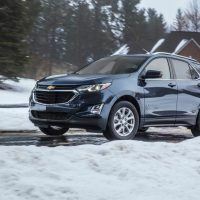 The 2018 Chevy Equinox was completely redesigned, from the downsized chassis and body, to the 2.0-liter turbo engine and nine-speed automatic transmission. 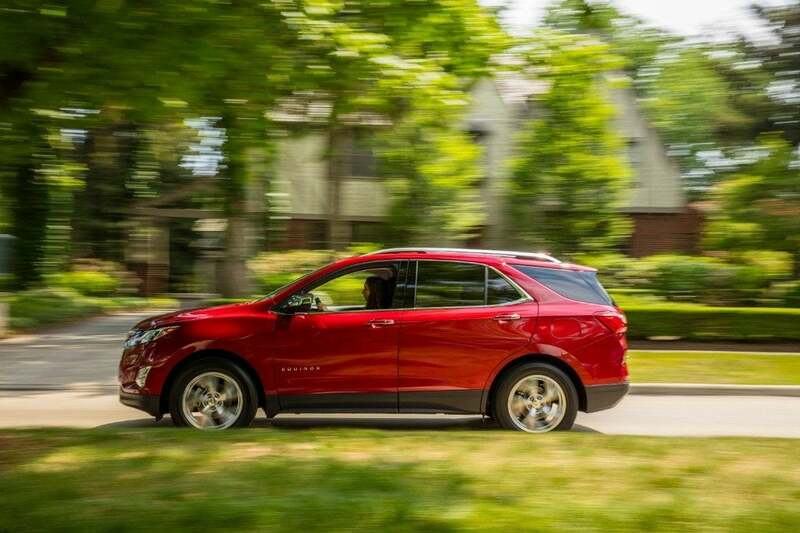 The Equinox FWD Premier 2.0T ($33,600) comes standard with automatic headlights, LED daytime running lights, a stop-start system, rearview camera, heated mirrors, keyless entry and ignition, and a driver information display. 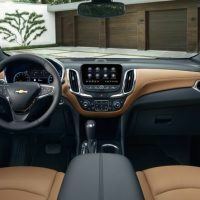 Chevrolet’s Teen Driver watchdog modes are included, along with Bluetooth, OnStar (with 4G LTE connectivity and Wi-Fi hotspot), a seven-inch touchscreen, and a six-speaker audio system. 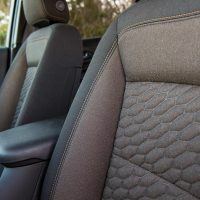 Chrome exterior trim, ambient interior lighting, driver-seat memory settings, perforated leather upholstery, and wireless phone charging are among the other niceties. There is even a meter that measures the distance (in time) between you and the car ahead. 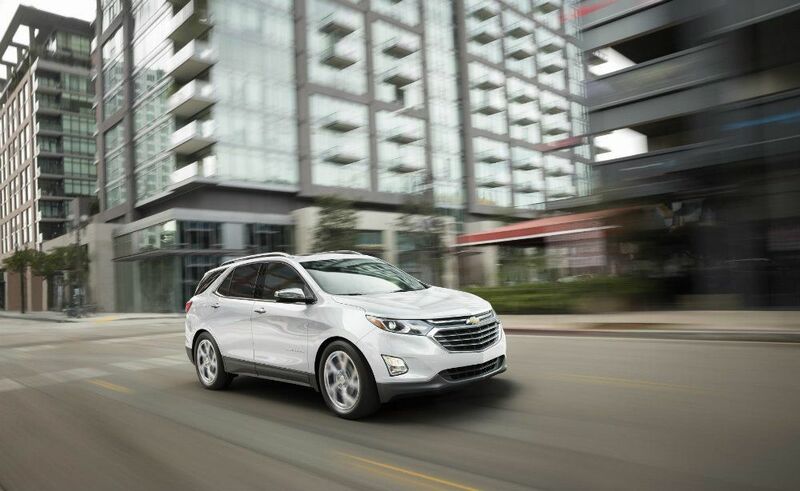 A USB port and Apple CarPlay and Android Auto also came with our Equinox Premier. 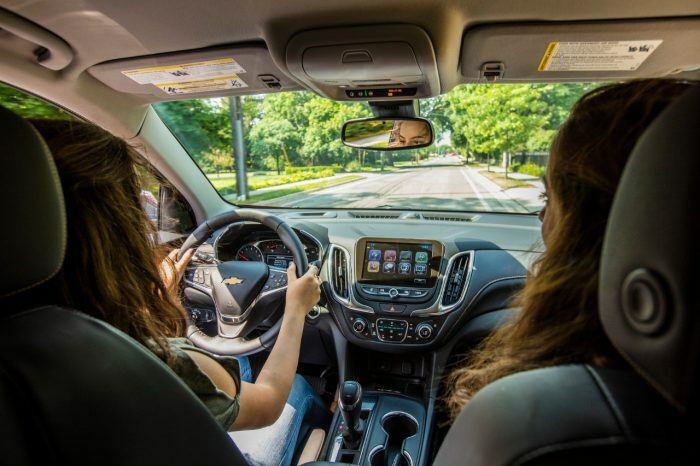 With Chevrolet’s Teen Driver system, parents can limit the radio volume and restrict the vehicle’s speed to 85 mph. It also prevents anyone from manually turning off safety features. Premier 2.0T adds xenon headlights, rear privacy glass, a leather-wrapped shift knob, an eight-way power driver’s seat (with two-way lumbar adjustment), auxiliary rear-seat release levers, and satellite radio. 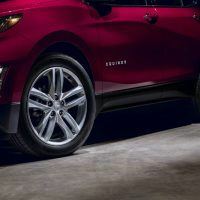 It also comes with 19-inch wheels, LED headlights and taillights, foglights, auto-dimming mirrors, roof rails, and a hands-free liftgate. 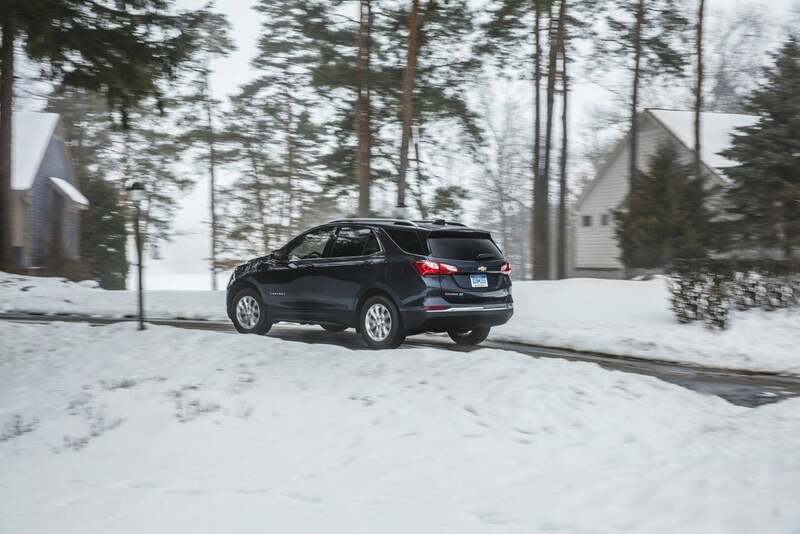 The Confidence and Convenience II package ($1,895) adds automatic high-beam control, a top-down, 360-degree parking/camera system, a heated steering wheel, an eight-way power passenger seat, ventilated front seats, and heated rear seats. 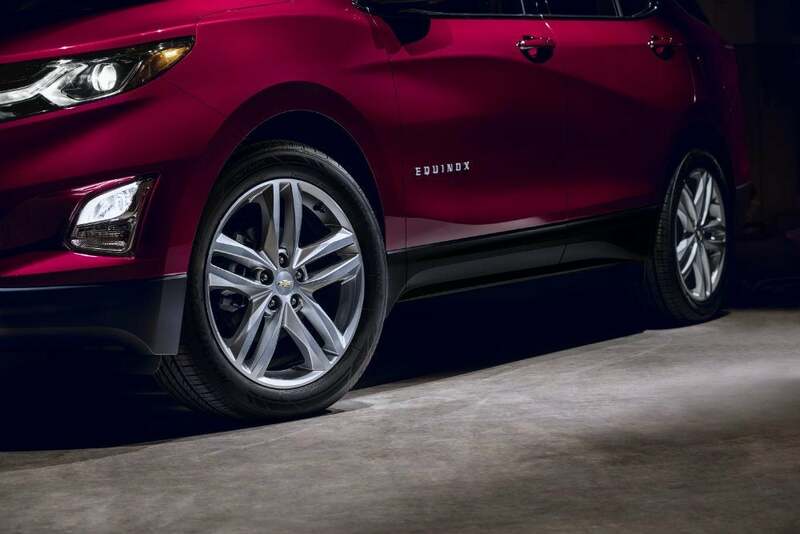 Safety features include lane departure warning, forward collision alert with automatic emergency braking at low speeds, and Chevy’s Safety Alert seat. 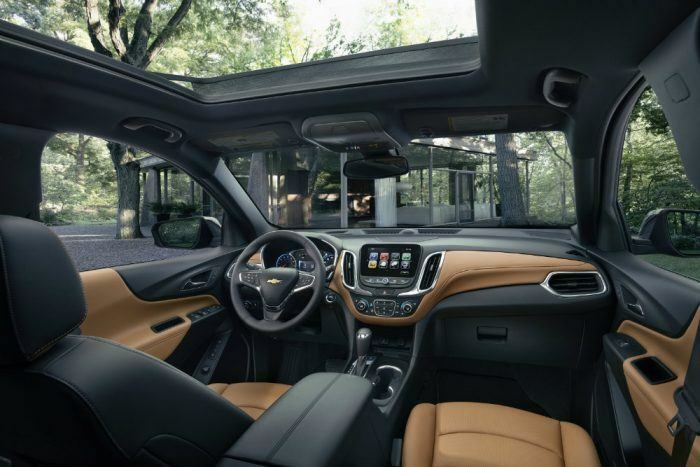 The Sun, Sound and Navigation package ($2,620) adds a panoramic sunroof, navigation, and a seven-speaker Bose audio system with HD radio. Total MSRP including destination: $39,505. 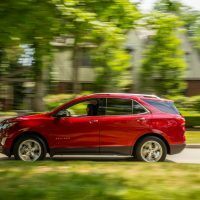 By comparison, starting MSRP for the 2018 Chevy Equinox is $23,580. Stepping inside reveals leather seats with plenty of bolstering, lots of soft-touch materials, brushed aluminum trim, and plenty of power adjustments to help find the perfect driving position. 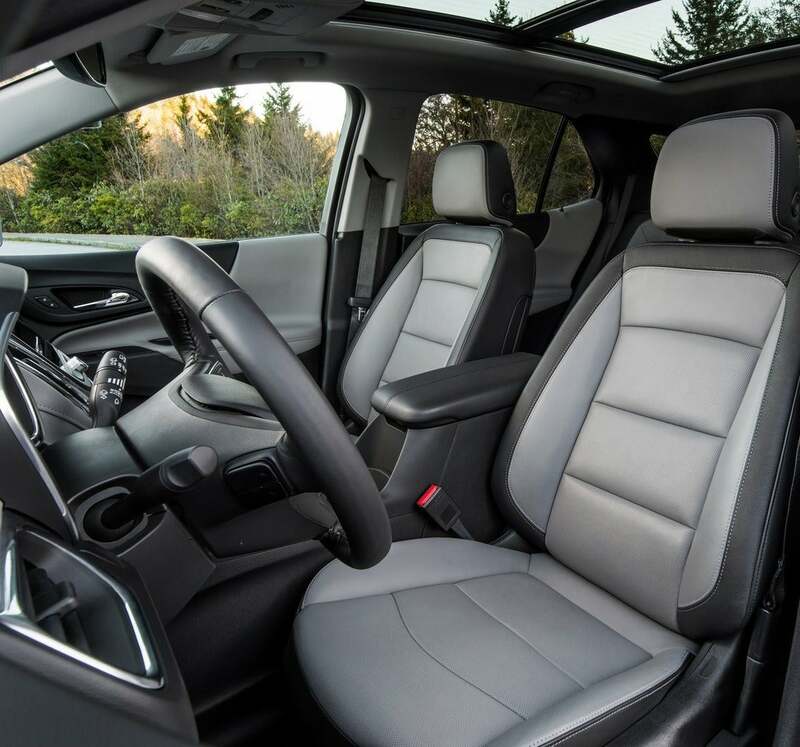 The seating position in the Equinox cabin seems lower than before, which makes the vehicle feel less SUV-like. The infotainment system is straight-forward and simple, with an eight-inch screen and big icons. The display is clear, bright, responsive, and fast, all without too many features or too much information. 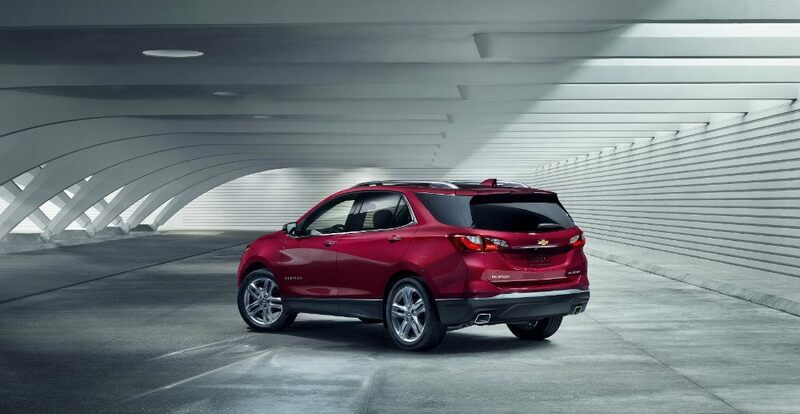 The backseat has plenty of room for adults, and rear passengers will appreciate the tall doors. 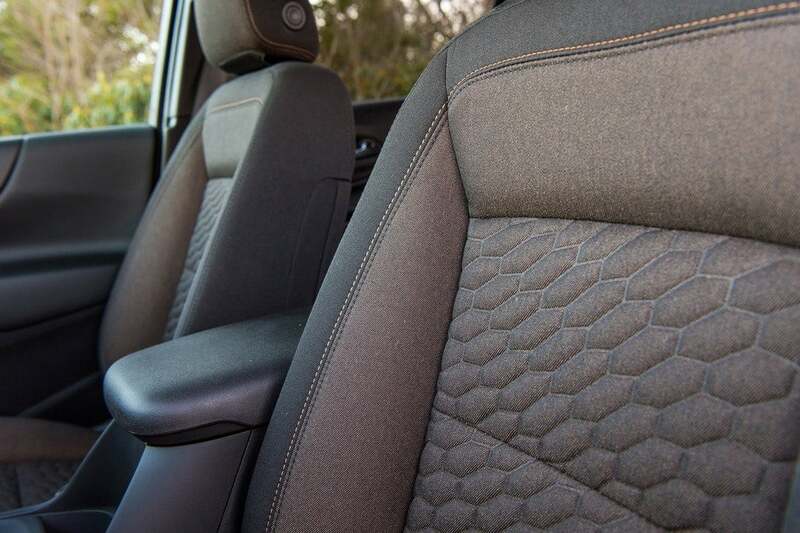 There’s less ducking and tucking to climb in, but the flat seat bottoms won’t be comfortable for long trips. 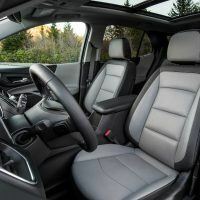 The seats fold mostly flat to provide 63.5 cubic feet of cargo space, less than the competition. Behind the rear seats there is 29.9 cubic feet available. Our Equinox tester was powered by the new turbocharged 2.0-liter inline four-cylinder, making 252 horsepower and 260 lb-ft. of torque. 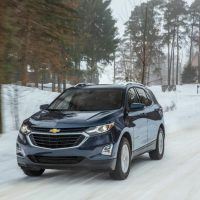 Mated to a nine-speed automatic sending power to the front wheels, it offers peppy acceleration and an EPA-estimated 22/29 city/highway and 25 combined mpg. 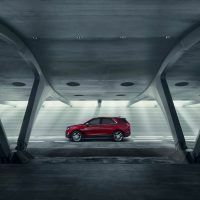 The new four-cylinder improves performance overall. Fuel mileage is reasonable if you keep your foot out of the turbo. 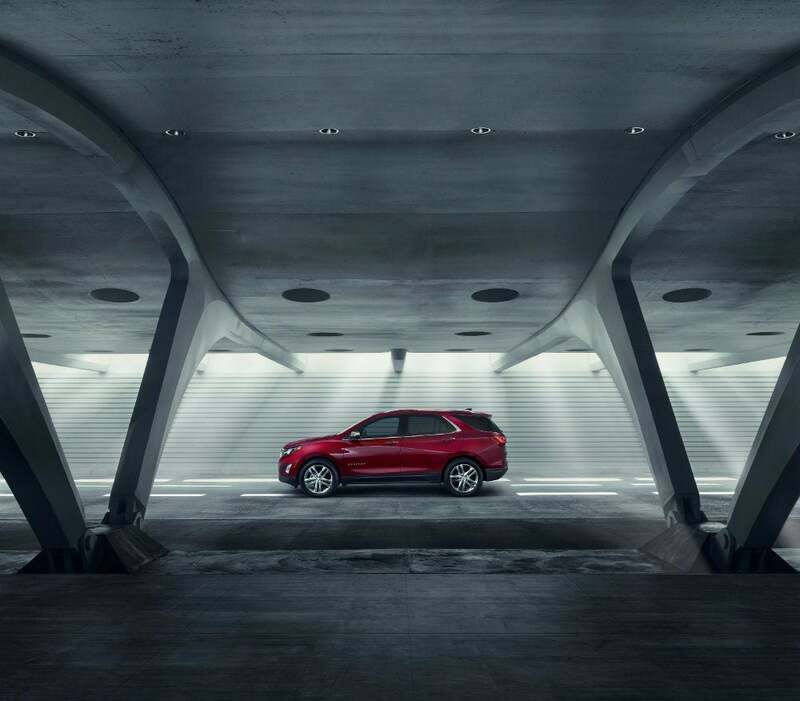 The nine-speed gearbox pairs nicely with the 252 horsepower turbo engine. Overall, the Equinox felt strong during our quick runs up I-70 west of Denver this week. The turbo offers steady power and a cool whistling sound as it climbs through the gears. 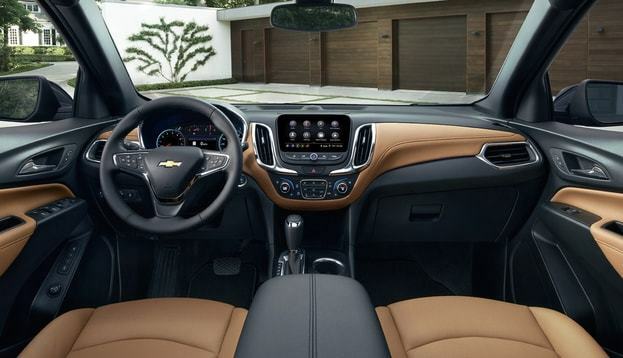 We found ourselves wanting steering wheel paddle shifters which aren’t offered on the Equinox. The ride is designed more for comfort than cornering ability. Through the tight mountain curves there was enough body lean to remind us we weren’t in a sports sedan. 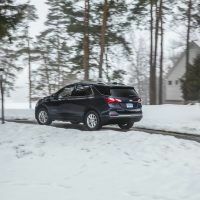 However, the suspension offers poised and predictable handling in all situations; the ride overall is comfortable on the highway and you hardly feel the bumps on rough pavement. 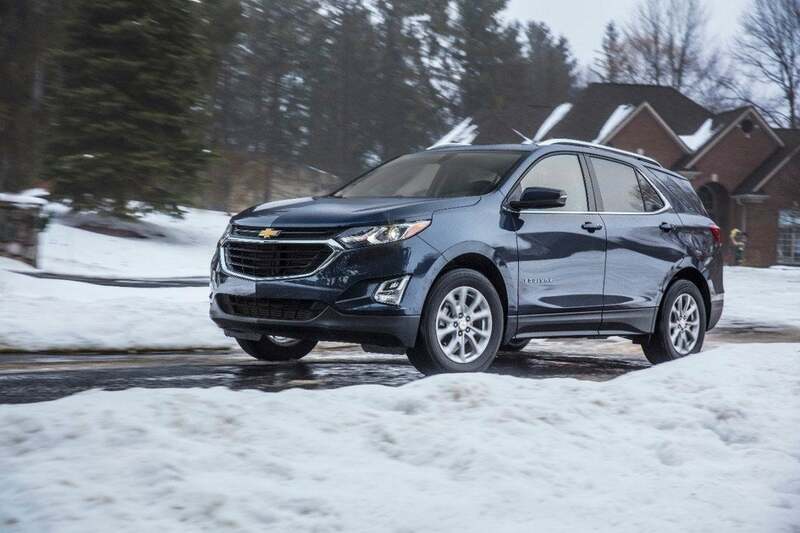 The 2018 Equinox has a higher state of suspension tune and 19-inch wheels with better all-season tires. It tracks true and smooth, but doesn’t offer much feedback. Still, it helped us avoid a deer in the mountains outside of Denver during our seat time. 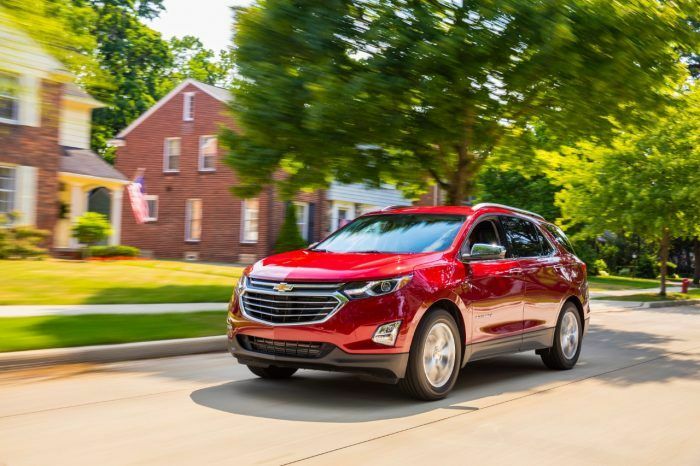 The fully redesigned 2018 Chevy Equinox addresses the problems the aging generation had. It now represents a more compelling choice in the smaller, five-passenger crossover segment. 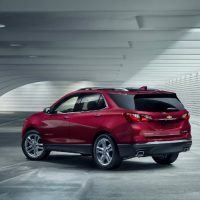 Chevy pulled off making the Equinox smaller in size without sacrificing too much leg and headroom. It’s comfortable, easy-to-drive, and comes standard with one of the best infotainment interfaces in the class. 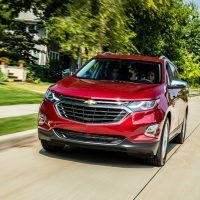 No Comments on "2018 Chevy Equinox Review: Fuel Efficient & Family-Minded"